Freelancing is more efficient now than ever. 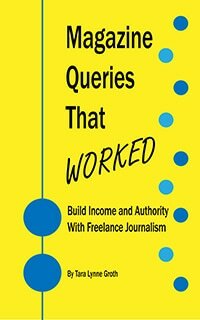 For new freelancers, imagine what it would have been like 20-30 years ago to run your business: Snail mailing queries, calling editors, using a typewriter! I don’t think I would have been able to sustain myself back then. Writer’s Digest recently published a list of strategies—like whether you should specialize or generalize—to build your freelance writing career. As if we don’t already have enough books waiting to be read, one of my favorite journals Ploughshares has compiled a list of books for freelancers. My Amazon cart is full! Have you ever been reading an article in print and then wanted to email it to a friend or share on social media? Instead of searching for the article online, this new app Peekster takes a picture of the headline and finds it for you. Feel like reading some classic Shakespeare? All of Shakespeare’s plays are now online for free in a simple-to-access spot. If you’re ready to be discovered and have a knack for comedy and television script writing – NBC wants you! Send your sitcom ideas to NBC.